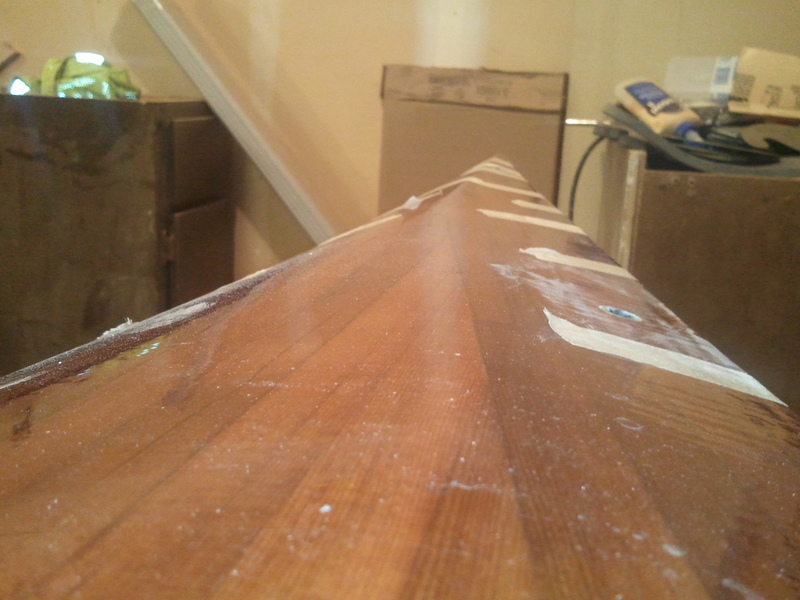 This is a picture of the deck of my boat with tape holding the two halves together in preparation for bonding. The deck line fitting is hard to see. It appears only as a hole in the deck. This hole leads into a watertight carbon fiber tube big enough to run a 3/8″ rope through. Amazingly strong and the only thing on the deck is the perimeter line and bungee cord. 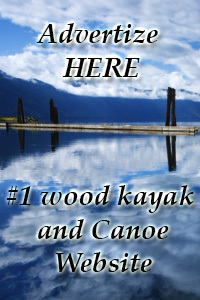 This entry was tagged carbon fiber kayak, cedar strip kayak, deck line fittings. Bookmark the permalink.